Get the best wildflower book you can find for your part of the gardening world. You won't be sorry. Not only will you learn to identify wildflowers, but, the best wildflower books should also give you a good foundation in plant families, a description of the plants characteristics and where the plant is found growing. I love wildflowers and love reading about them. So, when friends ask me to identify wildflowers they've seen in the woods or in someone's garden, it's a fun task. Sometimes it's challenging, but, with a decent photo, my go to books, the internet and being able to place a plant in its family, it's not too difficult to find and id! The best wildflower books are chock full of important information and my favorite all around wildflower book has an excellent flower color key and an overview of the geographic regions/physiographic provinces that make up Tennessee. It even lists plants that have naturalized in our regions, like Lunaria anua, which is a member of the Mustard family. So are the toothworts~those beautiful spring ephemerals that didn't last through our hot March weather. I found out early on that I garden in the Central Basin province of Tennessee, with shallow, nearly neutral clay soil. Knowing this helps me understand why Frances/fairegarden, who gardens in the Ridge and Valley province and I have very different results with the same plants. This is even true for my friend Paul's garden which is less than 10 miles from my house. His garden is on one of the many ridges that surrounds Nashville, it's also on thin, rocky soil, but it can support acid loving plants that I have to work hard to make happy. 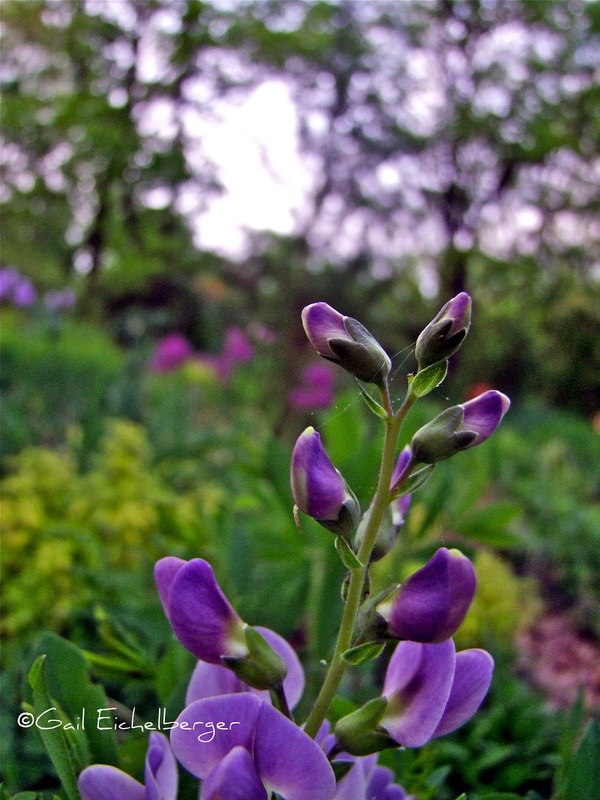 Besides dazzling your family and friends while hiking in local natural areas, having a general knowledge of plant families can help to identify wildflowers that you see and might want to try growing in your garden. That's how I was able to identify Partridge Pea/Chamaecrista fasciculata at Radnor Lake last summer. (here for its story) Partridge Pea is a fab Fabaceae with characteristic flowers comprised of standards, wings and keels and distinctive compound pinnate leaves! Naturally, plants don't always fit into a handy set of characteristics, that would be too easy, but, getting to know the typical characteristics is a good start. Take a look at two Buttercup family members that are endemic to my garden. All Buttercup family members have colorful sepals instead of petals. False rue-anemone has the usual five colored sepals instead of petals. Usual is used because not all members have just 5 sepals. (Sepals are usually part of the calyx). If you want to learn more about plant families start with a good wildflower book and head out into your own garden. You probably already know many and I am more than sure that you will be able to identify many more in a short period of time. I am pretty sure that you have most of these families represented in your garden! Some of our best flowers are represented in these 8 families! Ranunculaceae~5 colored sepals instead of petals, lobed leaves. I always think run when I see ranunculaceae in a name and they do often run wild in a garden! Columbine and the anemones are shown. Almost all are poisonous. Fabaceae~Once you get to know this plant family with it's pea like flower, compound, or trifoliate or watermarked leaves and seed pod, you'll be able to spot the medic, clovers, lupines and vetches everywhere! Asteraceae~Probably the most prevalent family in my garden with ray or disk flowers that shout 'daisy'. Lily family~Lilies, iris and other relatives (alliums, Iris native and exotic, Blue-eyed grass, etc) including the Genus Trillium with its stalked or stalkless three petaled flowers. Brassicaceae~Fabulous plant family with 4 sepals, 4 petals and 6 stamens~Count 'em! Together the four petals form a cross which is the source of their other name Cruciferae. Unfortunately, some of these plants are noxious weeds like Garlic Mustard/Alliari petiolata. If you see it in your garden~get rid of it. Lamiaceae~Leaves are simple and opposite, with a square stem (usually) and 2 lipped corollas. Bees adore these plants. Now have fun and don't make this an onerous task! Very educational post, Gail. And such beautiful photos used as illustrations! 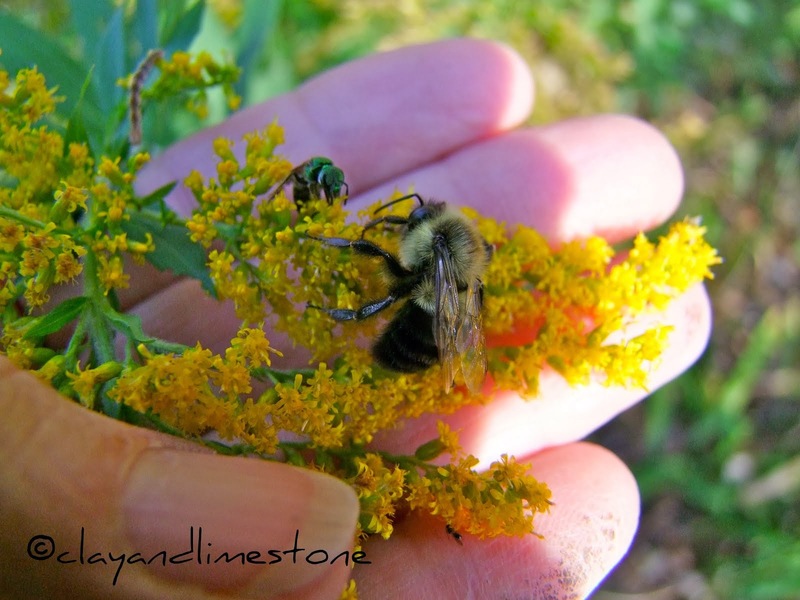 I am becoming more and more interested in wildflowers and native plants thanks to you! What a delightful and informative post, my dear friend. It was an honor to be mentioned in it. Your are responsible for my wildflower interest with the gift of a fine book on the subject. Knowing the names of what is growing in your area really helps us appreciate them more, and see that they are more than just *weeds*! Your photos of wildflowers are a joy to look at. Yes, I have my wildflower books. The first one I chose as a school prize when I was 11. The Observer's Book of Wildflowers. Now I have many wildflower books and they are often opened. This year new wildflowers showed up in my garden and it didn't take long for me to identify them. Beautiful Gail! Love them all! i need a good native ground cover for a front fenced in area...any suggestions? it gets morning sun and is shaded by the house in the afternoon. This is great information and so well explained...I need to bookmark and memorize this. Just wonderful Gail! I agree, through the wildflowers, we can learn so much about plant families, habitats, even folklore. I have several books here on wildflowers and hope to find some old ones to add to my library. There is so much to learn! Wow. A really excellent and informative posting. You are going to make me take an even closer look at my flowers. Though for me the False Rue Anemone would never be confused with the real thing. It is much smaller. Wonderful pictures. I love this post and you have made me keen to move from a sort of knowledge to a real one of wildflowers. I grow all sorts and am passionate about them but still there is so much I don't know. Here in the UK we have a recently published book on wildflowers by Sarah Raven which I have just bought and recommend to any UK readers! I second that! The first thing I did when I found out we'd for sure be moving to Wisconsin was to order a book about the native plants of Wisconsin. What a great and useful post. I do have a wildflower guide - and it gets quite a workout. I'm always finding plants I never noticed before and need to get an ID. 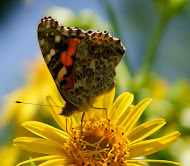 Your wildflower photos are stunning! This is a group of plants I need to learn more about, and to incorporate more in my gardens. I learn so much from you Gail! I can tell you that after I started blogging was when I really became aware of wildflowers in part due to you! It's totally the message (you've done it eloquently) that I'm giving in a couple of programs this week about native plants in the garden. Learning about them is not only fun, it helps you become a better gardener and steward, too, of whatever small patches of earth that we garden in. Fabulous photos, as usual! Thanks for providing your voice towards appreciation for native plants. They're more than worthy of being included in our gardens, and they support native insects, birds, and other wildlife, too, of course. What's not to like? Gail your pictures have so much beauty and magic in them. I did buy a wildflower book for Illinois a few years ago, and it's been such a help in learning more about wildflowers. I only wish there was a book with photos as magnificent as yours, Gail! I still have so much to learn, but I've come a long way. Thanks for such an informative post! That wildflower wilderness looks so inviting that i can make a tent in the vicinity and live there for a while, just like Henry David Thoreau at his pond. We have lots of wildflowers too in our tropical lands, but maybe not as prolific and floriferous as those in your temperate climes. Beautiful photos and encouraging words - thank you!